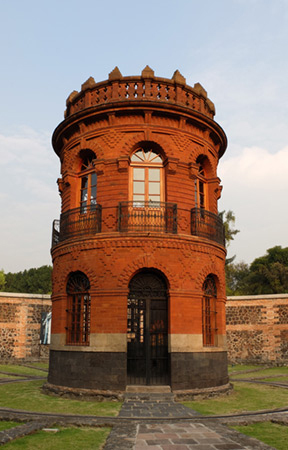 Andrea Reyes Elizondo has taken two research stays at Mexican archives. Here she talks about the challenges encountered and discoveries made during those visits. As a book historian who focuses on reading in XVIII New Spain, my sources are not only the books available at the time. I also need to trace the educational, cultural, and social aspects that could have played a role in limiting or encouraging the activity of reading. 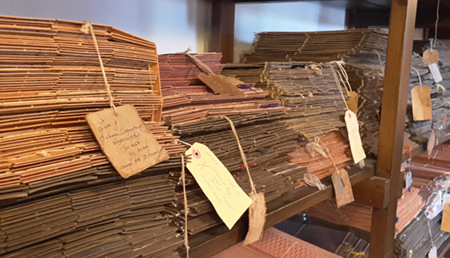 Thus in 2016 and 2018 I spent 14 weeks searching for serial documents that could attest to literacy and book possession amongst the inhabitants of New Spain at three Mexican archives: the National Archive (Archivo General de la Nación, AGN), the Historical Archive of the Notaries Archive (Acervo Historico del Archivo General de Notarías, AHAGN), and the Historical Archive of the Archbishopric of Mexico (Archivo Historico del Arzobispado de Mexico, AHAM). These documents have survived centuries and so do fungi and other nasty stuff in them. That is why researchers must use gloves and dusk masks. The first time ever a historian goes into an archive, there is this unrealistic expectation of what one will find: collections of important documents about “watershed” moments. Among these documents, the inexperienced historian imagines finding that document that proves something. Think of the Da Vinci Code but with less attractive people. Further, the researcher who for the first time goes into an archive imagines these collections ordered in a logical structure, available through catalogues that can be accessed online, and reading rooms open to specialists who can take pictures of the documents. Most archives are serendipitous collections that somehow have survived in their current from, which most surely is not the original structure followed by the first authority responsible for them. For example, one of the collections I consulted for my research consists of legal proceedings carried out prior to marriage. 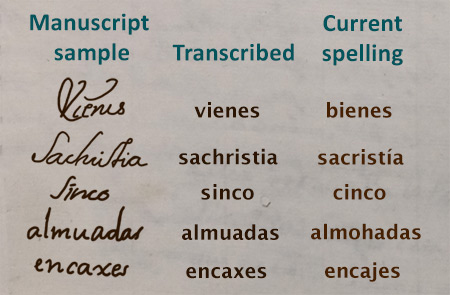 The documents were first stored at the archives of the archbishopric of New Spain when Mexico was a Spanish Colony. As an independent country and during the War of Reform (1857-1860) the legal and judiciary authority of the church were contested resulting in the separation of church and state. The files previously guarded by the Catholic Church were then moved to different secretaries and departments from the subsequent governments. They survived several conflicts before being collected in the AGN. But were all of them always kept together? Upon further research I found that the archbishopric of Mexico still holds some of these documents for at least one region of Mexico. While talking with some archivists from the AGN I realised there are still some boxes of documents from the colonial period which have not been catalogued. Finally, it is extremely likely that some documents were lost before they even reached the AGN. There goes the idea of a nicely kept collection. Another difficulty is decoding the handwriting and understanding the different spelling and grammar. 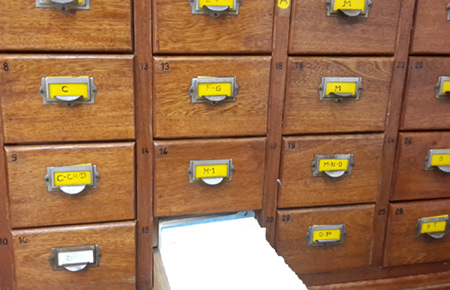 Besides their varied constitution, which could mean that a collection is spread at various institutions or that documents have been lost, some archives are also difficult to access due to limited consulting hours or because of the catalogue itself. One's assumption of checking a catalogue, finding what one is looking for, and requesting the documents is shattered at the first look to these records. Understanding an archive's catalogue requires time to understand the various keywords used and the different documents that it contains. That is, if there is a catalogue at all. Of the archives I visited, only AGN has some sort of catalogue available online. Unfortunately their search function does not allow for refined queries. They do have a more refined search tool at the archive itself but since this is not online, the researcher who has planned a stay must plan appropriately to allow time for this. From the other archives, the Archbishopric one had a catalogue on site in Excel 93, which does not allow to filter for specific words, forcing the researcher to examine line by line of the file before knowing which documents could be of interest. 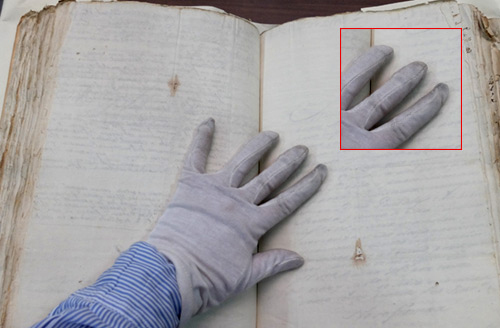 In contrast, the notary archive does not have a catalogue at all but two different printed guides which give little information about its contents and could not be photographed but only be copied by hand. For an archive catalogue to be truly useful to a researcher, it should mention how many books or documents were produced by the same person, the length of the collection, the period it covers, and a breakdown of the type of documents. The AHAGN guides only gave a summary of how many books a notary had (guide 1) and which books were for which years (guide 2). What the archives lacked in infrastructure, they made up for in location. Each archive was housed somewhere magical, to a nerd like me. The AGN was located at the infamous Lecumberri prison, with the various collections divided across the wings of the prison and the documents housed in the old cells. It was pretty cool to be working in that place. It has now moved to a more modern building next door which is great for the documents, but less exciting for bar talk. 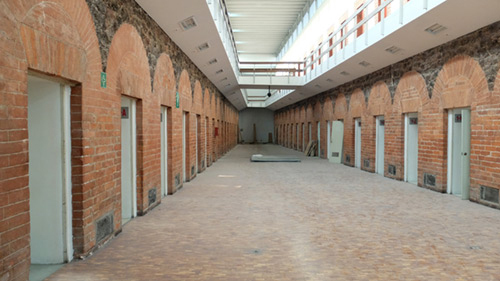 A gallery from the prison. The roo would be filled with tables and the documents were kept in the cells. The Archbishopric archive is located in a non-descriptive building in a bohemian neighbourhood. Perhaps unsurprisingly the building smells like a church. Once inside, one is transported to a bureaucratic office from the 70s with proper vintage furniture from that period. 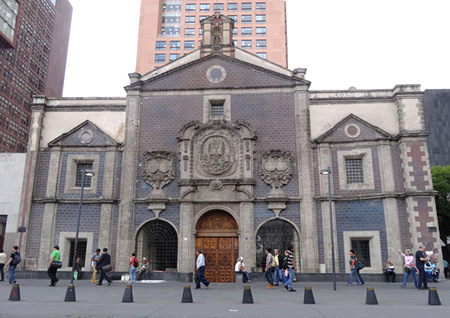 Finally, the AHAGN is located in the former temple of Corpus Christi from the the first convent for elite indigenous women in Mexico. Again, a pretty cool location where according to some workers and researchers there is even a ghost. During my visit there was unfortunately no paranormal activity. The most exciting events were a couple of earthquakes which triggered the seismic alert and forced everybody to the streets, and a broken lift which meant that for a couple of weeks you could only request two books per day. Former Corpus Christi Temple: no ghosts, just documents. Visiting these archives has been a truly formative experience. Although I decided not to use documents from all of them, exploring their holdings allowed me to get a more on-hands feeling of the possibilities and limitations of primary sources, as well as becoming painfully aware of what budget cuts do for the heritage sector. Beyond the initial panic of not knowing how to find what might prove useful, I relish the time spent handling in person these pieces of paper that have been written centuries ago. My research stay has resulted in a large sample of documents. 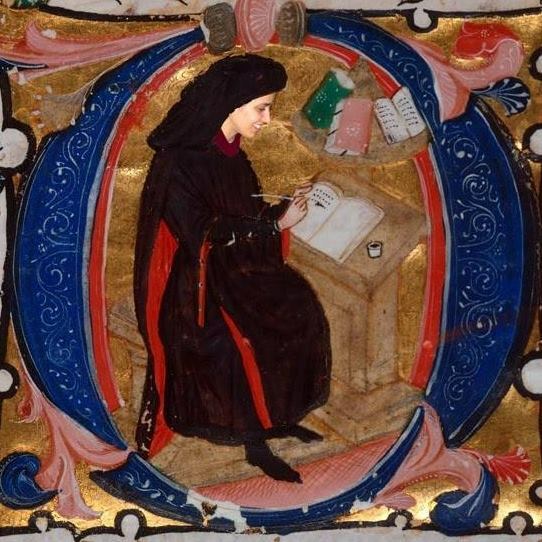 While collecting them I thought of the medieval monks that copied books by hand. Now that I am back, there is still plenty of work left to do: cataloguing images, transcribing, and coding findings into a database. Laborious and meticulous work done in solitude, like the monks, but with a camp playlist on the background, unlike the monks. © Andrea Reyes Elizondo and Leiden Arts in Society Blog, 2018. Unauthorised use and/or duplication of this material without express and written permission from this site’s author and/or owner is strictly prohibited. Excerpts and links may be used, provided that full and clear credit is given to Andrea Reyes Elizondo and Leiden Arts in Society Blog with appropriate and specific direction to the original content. Thanks for sharing with us your nerdy love for smelly old libaries - but it seems to take a looot of patience to get the results… Love your pointed writing !